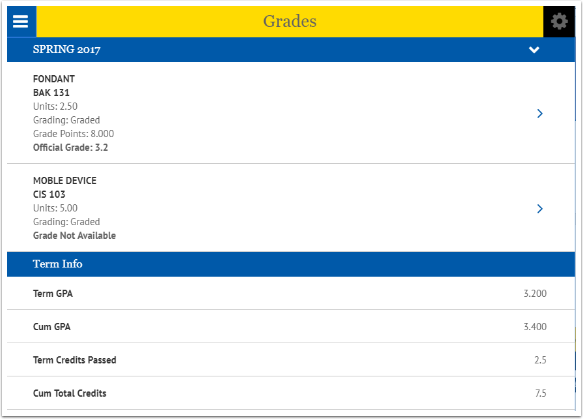 Purpose: Use this document to be able to view grades, programs and degree progress in your Student Center using the college Mobile Application. 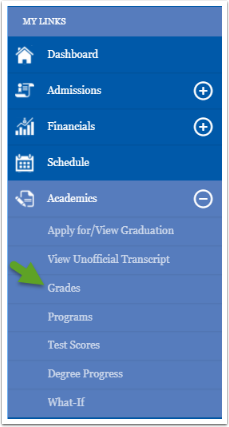 Click on the Academics menu item. 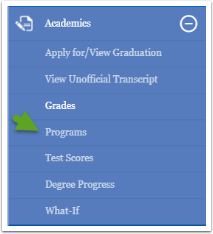 Grade information and academic standing display. 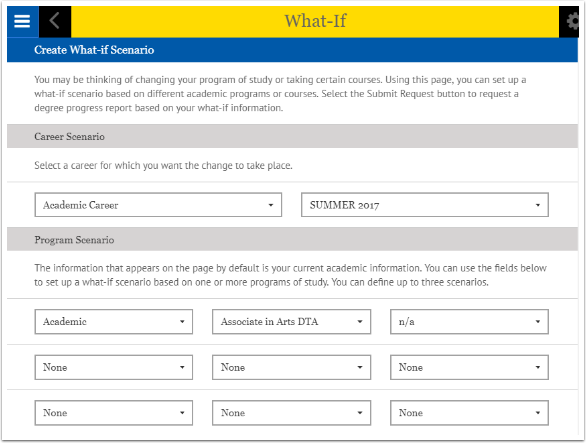 To view your Academic Career, click Programs. 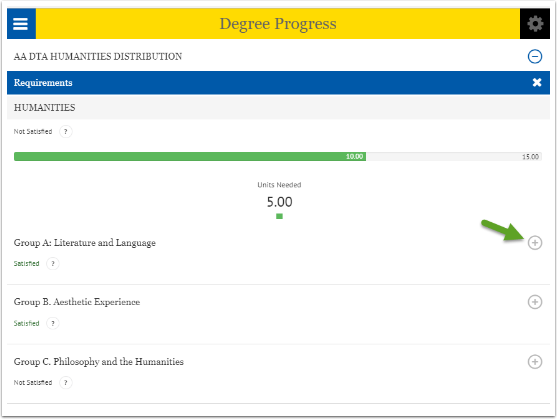 Your Academic Career and Major display. 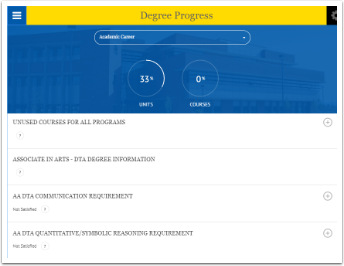 To view Degree Progress, click Degree Progress. 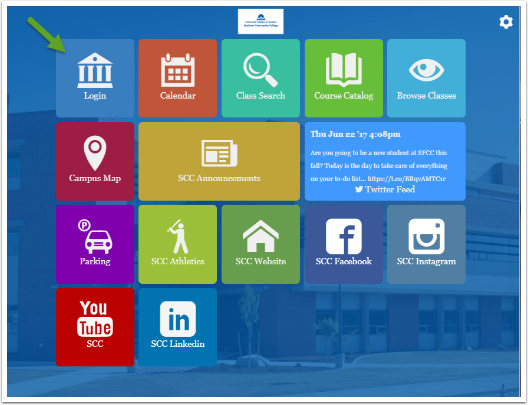 NOTE: This is called View my advisement report in the Student Center. 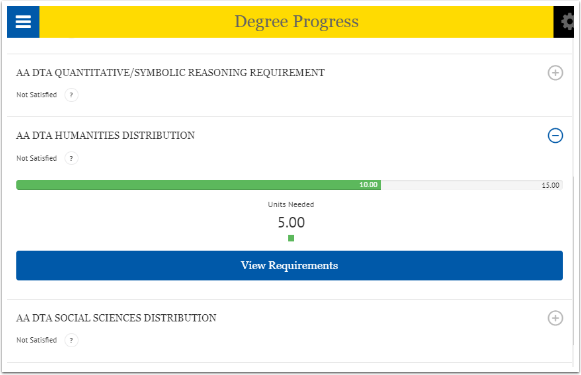 You can view course options and see what requirements you have met. 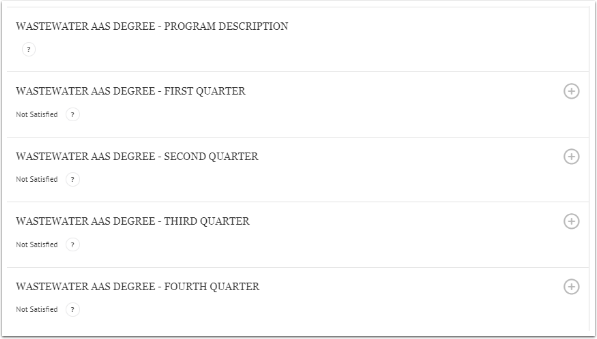 You can also see what classes are offered to meet your degree requirements. 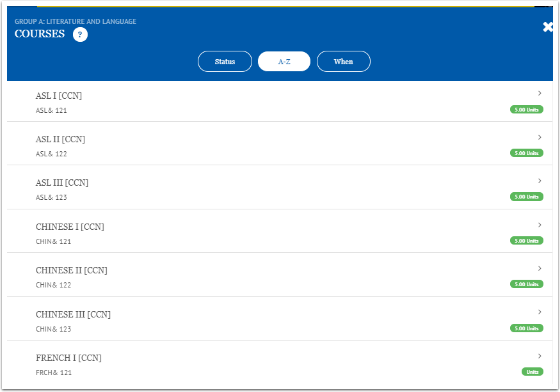 View sections if more than one is available and add class to your planner. 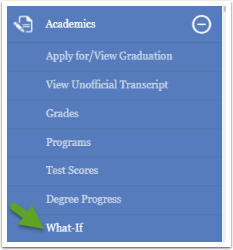 To view results of changing your major or courses, click What If. 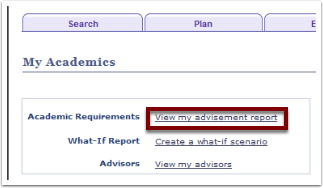 You can create a new report or view an existing report (you have previously created and saved). 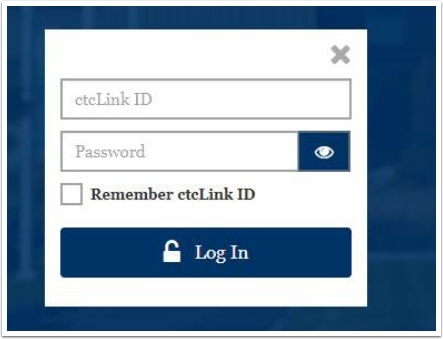 Click Create New Report to experiment with scenarios. Choose the term and pick programs. 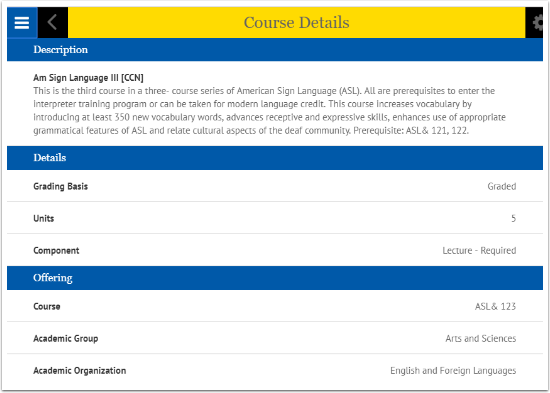 You can Browse the Course Catalog to choose courses. 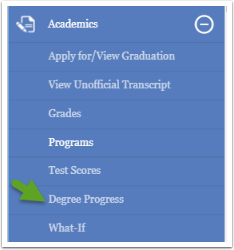 You will see a What-If progress page that includes the courses for the option you chose.